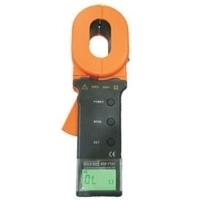 Prominent & Leading Wholesale Trader from Mumbai, we offer clamp on earth ground resistance tester 4680 bl & blc, clamp on earth ground resistance & leakage current testers, currency counter km 9013, htc 8200 earth clamp meter, motwane digital earth clamp tester dect and kusam meco clamp on type earth resistance tester 1620 1720. The faults in any Electrical System are unavoidable. Earthing plays an important role in Generation, Transmission & Distribution for safe and proper operation of any Electrical Installation.is equipped with long jaw suitable for Grounding. Earthing Strip of 65mm x 32mm. Jaw opening is anon-contact type innovative solution for measuring ground resistance and leakage current of any Electrical Installation. This method of measurement completely eliminates the use of ground and auxiliary rods thus saving lotof time and avoiding shut down. Calibration check can be verified by using the Standard Resistance Calibration Plate provided. 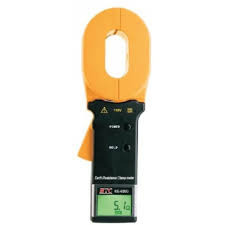 This is an extremely handy instrument especially at place where it is next to impossible to measure Earth / Ground Resistance by conventional methods. 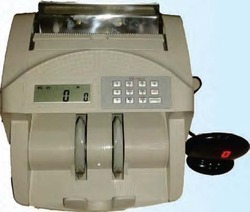 Substantial time saving and easy operating justify the investment in these instruments. Jaw : 65 x 32 mm Approx. Counterfeit detecting with UV (Ultraviolet), MG (Magnetic), IR (Infrared ) Detection Function. Size Detection / Sort Function. Hopper & Stacker Capacity : 200pcs. Long Jaw size: 65mm x 32mm Ø. The unique long Jaw is particularly suitable where grounding is done by flat steel or copper strips . Range : 0.01 Ù to 1000 W.
Maximum Resistance Measurement Resolution 0.001W. Over range(OL W) as well as low range (L0.01W) indication. Single Measuring Time : 1 second. Dimensions : 298mm X 90mm X 66mm (Approx.) for long jaw. Net Weight : Approx. 1320g for long jaw size. Conduct field surveys fast and effectively and retrieve and analyze readings a later time. Use on telecommunication Tower's grounding. Useful in finding earth fault such as discontinuation or loose contact of earthing strips of cables. KUSAM MECO KM 1620 single-jaw type Earth Resistance Tester is widely used forearth resistance testing of the equipments in the field of power,telecommunication, as well as the other electrical equipments. It features easy operation, high-accuracy and good adaptation of testing environment. 1. Earthing of electric power and distribution system. 3. Earthing of lightning rod and oil tanks. 4. CAT III network earthing. 5. Earthing of multi-storied building and warehouse etc. Beyond the limitation of the traditional method of earth resistance testing, no assistance poles are required,with easy and convenient operation. High-Low limits settable for Resistance & Current. Max. Bus Bar Dimension : 32 mm × 65 mm. 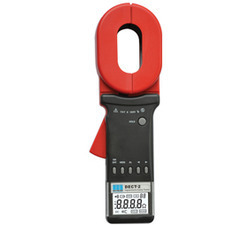 Looking for Clamp On Earth Ground Resistance Tester ?